Thought these photos might bring a smile to Willys face. 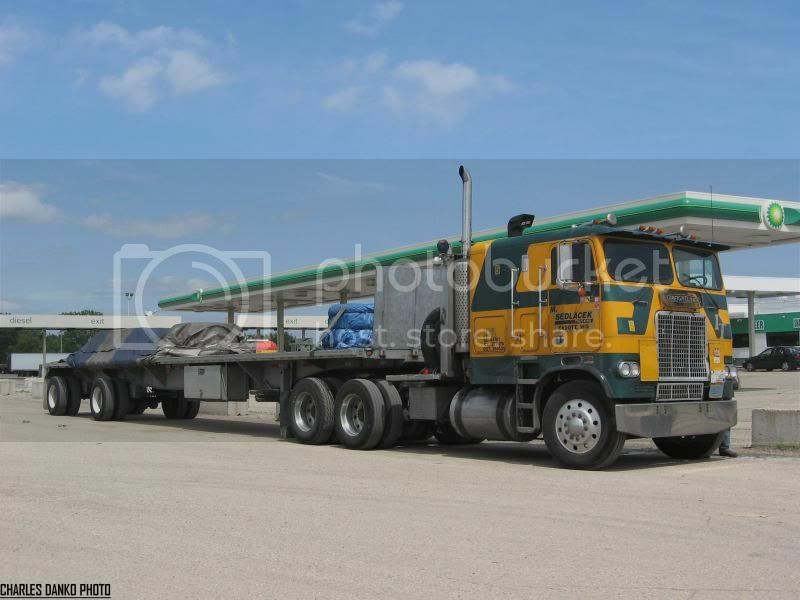 :-) Ex International Transport FL COE belonging to M. Sedlacek Trucking of Cadott WI had just pulled into the Edgerton WI BP as i was leaving so a quick u-turn later captured a trip back in time. My gosh, he even still has the IT on the front! You must have felt like you stepped back in time, Charlie. You must have felt like you stepped back in time, Charlie. If I remember correctly, and roughly, Schneider bought them about '83 and the International Transport name disappeared in the late '80's, becoming Schneider Specialized. The foot turned to the horse, the horse to the carriage, the carriage to the train, and the train to the truck. That's a good looking truck you caught there Charlie. WOW!!! 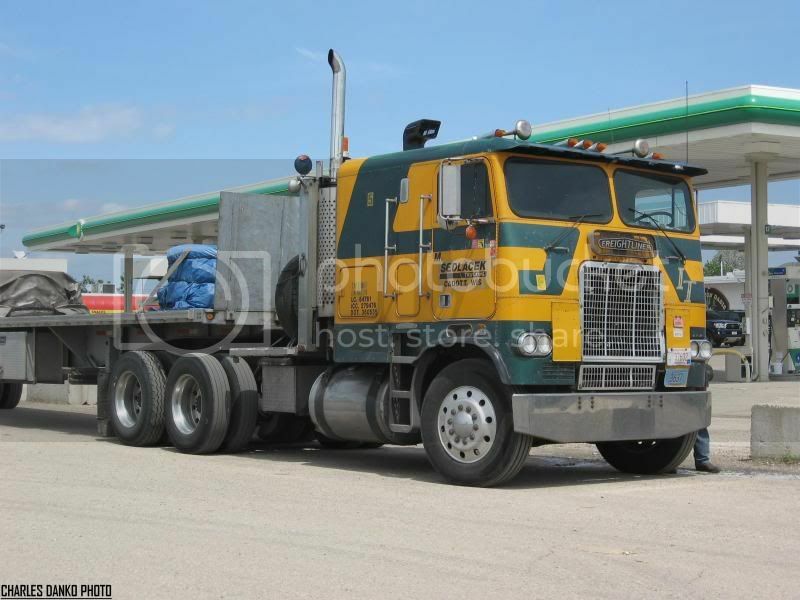 That is a real nice classic Freightliner COE!!!!! A simple but very quarectistic colorscheme for those FL's!!! Looking forward to see more!!! 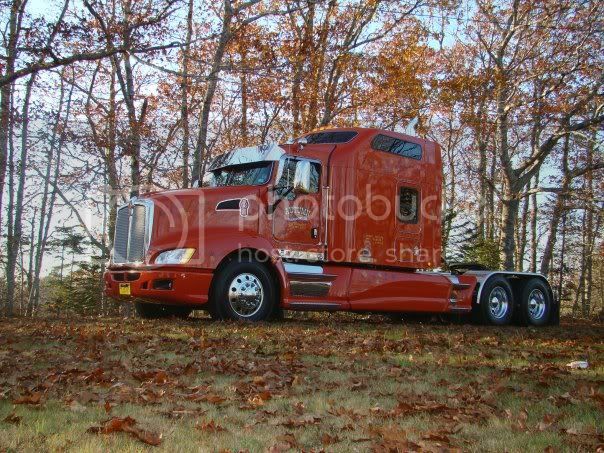 Isn't there a FL COE in IT colors somebody posted recently (2012) that looks like maybe this one with a little TLC?